Looking for a mobile card reader for your business? Then you’ve come to the right place. 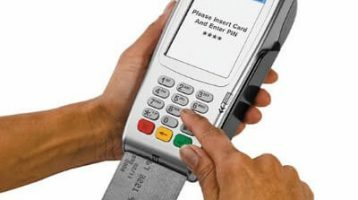 There are so many different solutions on the market, which means it is important to understand what mobile card reader will be right for your specific business needs. 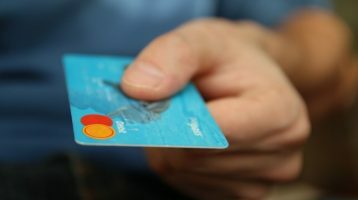 If your company already accepts credit card payments or wants to accept credit card payments in the future then a mobile credit card machine could be a simpler, less expensive and more future-proofed solution than using your own bank or another financial provider’s standard PDQ machine. Rather than using complicated fee structures, mobile readers tend to have much more transparent and easy-to-follow rates. They also utilise the latest mobile technology, for instance a tablet like an Apple iPad, which can also act as a POS system. And they can be used anywhere, whether your business is based in a shop, on a market stall or out on the road. 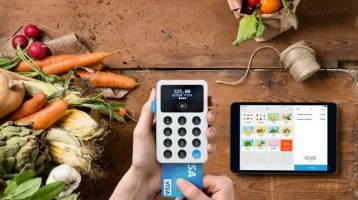 So whatever sector your business operates in and however you want to accept credit card payments, read on for more details about five of the main mobile card readers in the UK: iZettle, Square, PayPal Here, Worldpay Zinc and SumUp. * For this comparison we’re looking at the Payapl Here card reader and the Worldpay Zinc card reader. A new version of the iZettle mobile card reader has recently been released. It costs £25 + VAT £19 + VAT and can be bought with an optional iZettle Dock. It has an all-day battery life of eight hours and takes all major credit cards including JCB and Diners Club International. Transactions can be made using Chip & Pin, Contactless and Magnetic Swipe. It is also compatible with Apple Pay, Android Pay and Samsung Pay. Fees for using the iZettle mobile card reader are now a flat 1.75%. Previously, they had been as high as 2.75%. Exclusive Discount Offer: Click here to get an iZettle Card Reader for only £19 + VAT! The Square mobile card reader is made by Square Inc, a company launched by Twitter’s co-founder Jack Dorsey. The Square mobile card reader plugs into both iOS and Android devices including iPads and Android tablets. Square charges a flat fee of 1.75% per transaction on contactless and chip and pin payments for all card types (including Amex). They now offer two ways to get paid. Either you can use their regular deposit feature and get your money as soon as the next working day, or use their new instant deposit feature and get paid right away (extra 1% fee applies for instant deposit). For online, invoice and typed in transactions the fee is slightly higher at 2.5% per transaction to reflect the increased risk of fraud. 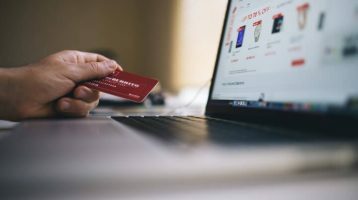 In the UK, the company has made available its free Point of Sale software from the App Store or Google Play to help businesses of all shapes and sizes to monitor stock, receipts and sales. Visit the Square Website Here. The PayPal Here mobile card reader has a built-in chip reader and costs £45 including VAT. It has no monthly subscription fees. PayPal Here works with all credit cards using contactless and swipe and also is compatible with Apple Pay and Android Pay. It charges 2.75% of each contactless or chip transaction up to sales of £6000 per month. After that fees do reduce. There are higher charges for transactions made by magnetic swipe or manually entering card details. After each transaction is completed using the PayPal Here mobile card reader, the money is made available within seconds to a PayPal account. PayPal Here also has a UK-based customer service hotline and its app works as a POS system to manage inventory and sales. 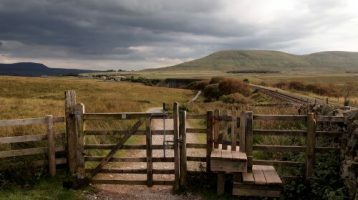 It also allows 200 different people to be connected to the same account, with their own unique password and levels of permissions. Worldpay Zinc is Worldpay’s basic mobile card reader and should not be confused with their more traditional readers. Their Chip & PIN Keypad only costs £39.99 (incl VAT) which makes it among the cheaper options on the market. They also offer fees as low as 1.95%, although their standard rates are 2.75%. Worldpay is the leading merchant account provider in the UK so you can be confident your funds will be secure. However, their reader does not offer all of the functionality of some of the other models here. 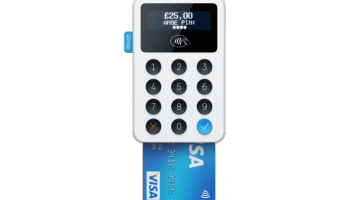 The SumUp Air mobile card reader costs £59 + VAT and works with contactless transactions, Chip & Pin or Magnetic Stripe. It is also compatible with Apple Pay. There are no monthly costs and a flat fee charged of 1.69%, whatever the transaction method. Payments are processed to the company’s bank within three to five days. The SumUp Air reader can also send digital receipts directly to a customer using an email or text message. It has a rechargeable battery that lasts for more than 500 transactions. SumUp also offers a Point of Sale software system as an upgrade that covers book-keeping, employee management, inventory tracking and sales reports. Note: We have partnership agreements with iZettle, Square, SumUp, and Worldpay. They each pay us a commission if you sign-up and start using their services. We genuinely think they offer great mobile credit card machines and processing solutions for UK small business, but we leave the final judgement up to you.